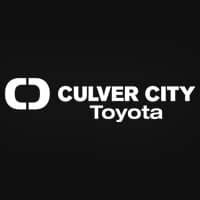 Toyota’s timeless commitment to quality, innovation and durability is the foundation upon which the Toyota Certified Used Vehicles (TCUV) program launched in 1996. With each passing year the TCUV program has gained momentum – totaling over three million sales and counting.It stands to reason that the better a product is made the longer it will last, which makes getting a high-quality, low mileage Toyota at a great price a very savvy move. So if you’re in the market to buy a used car, consider a Toyota Certified Used Vehicle — quality Toyota used cars combined with Toyota Certification, vehicle history, and roadside assistance. Whichever comes first from original date of first use when sold as new. See your Toyota Certified Used Vehicles dealer for warranty details. Program not available in Puerto Rico and Hawaii. For AL, FL, GA, NC & SC, warranty coverage differs in the following ways: 7-year or 100,000-mile Toyota Certified Limited Powertrain Warranty coverage begins on January 1st of the vehicle’s model year and zero (0) odometer miles and expires at the earlier of seven years or 100,000 odometer miles.